After we were commissioned in worship on Sunday, July 8, twenty-one youth and adults drove from Ben Avon to Hampden, WV. We were welcomed warmly into their church to stay by Pastors Cab and Bonita Wolford. The ministry of the Full Gospel Church is to host groups who come to do work on homes for people in need. 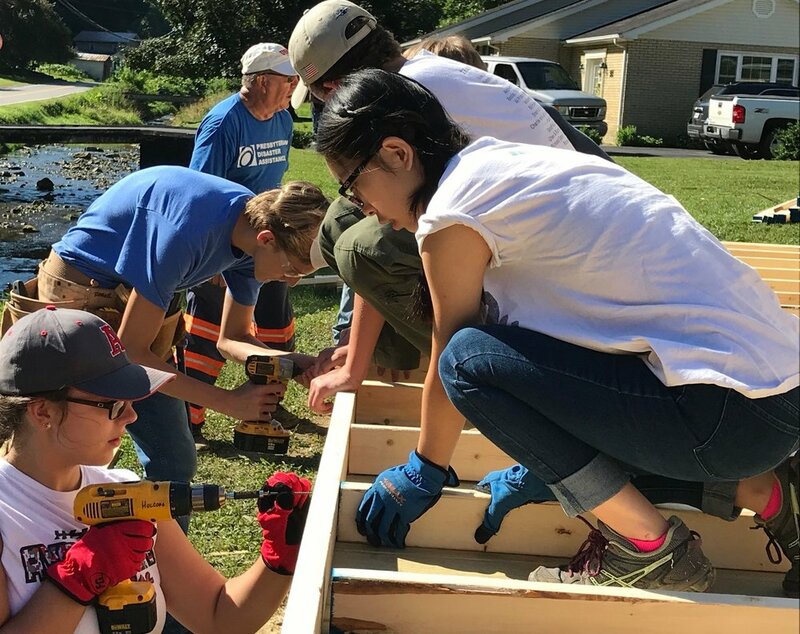 They started working with Presbyterian Disaster Assistance following a devastating flood in WVA in 2009, and they have been supervising work groups ever since. 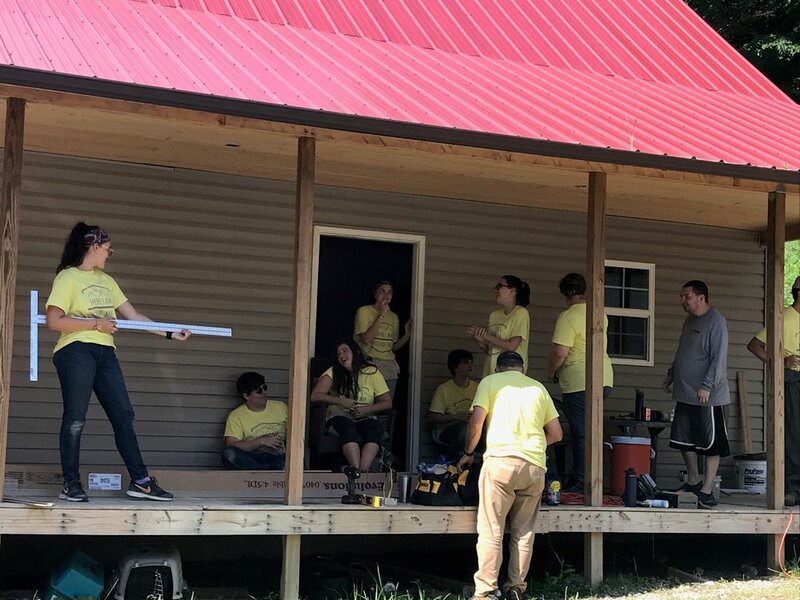 One group worked on framing and building an addition to a mobile home, for an adopted grandson. Here is a picture of some of our group screwing boards together. Another group worked on putting siding on a new house. Check out their good work! To celebrate they had some fun dancing and singing with a neighbor. Another group worked on taking out old windows, framing and installing new windows in a mobile home. It took a long time, a lot of measuring and a few lucky cuts, but we finally got them in. Truly, we learned, it takes a good work crew--and a little patience and prayer--to ge the job done! At one point on the trip, someone asked me: Are you glad you came on the mission trip? I can definitely say, yes! I got to hang out with teenagers for the week and be inspired by their commitment and creativity. I got to sit in the pews and appreciate worship led by teenagers. I got to spend time with adult church members--kayaking, playing cards, and swinging hammers. I got to see how a church in WV puts their faith in Jesus in action by caring for people in their community. And finally, I got to exercise different muscles and use power tools! All for the good of building up the kingdom of heaven on earth! Thank you for your prayers for all of us. We look forward to sharing with you on Youth Sunday on July 22 at 10:00 am. Come hear about our experiences in bringing Christ with our community and bringing our community to Christ.